Normally I don’t like to do write-ups or even credit pieces I use as part of the overall picture. At the core this is blog about art, fashion and the passion for both on the grid. However, with that said this particular entry deserves a little extra because this is the first time I am displaying the recently released SLink Physique Male Body by Siddean Munro, the new Labyrinth Mesh Head available at TMD. I’m still getting used to both of these items but I think over time that the mesh body will be a prominent feature here as time goes on. 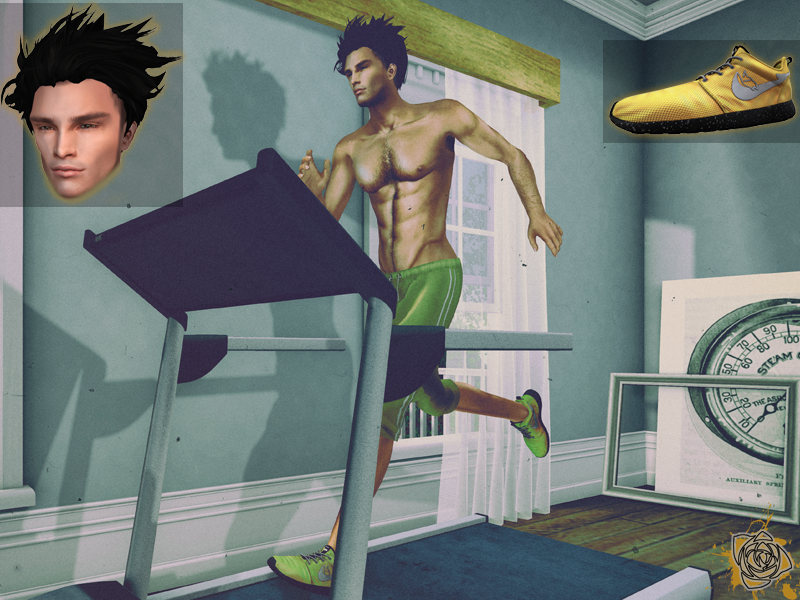 To accentuate the look, I employed the help of the Treadmill by N4RS which you can find at the Uber event until the 23rd of September. Besides the Mesh Head, the current round of The Men’s Dept. is in full swing with great items such as the My Hair Chen from [Monso]. There will be more featured from this round in upcoming posts so stay tuned for that as well. Follow the taxi’s in the credits and feast your eyes on the latest and greatest these stores and events can offer but don’t just take my word for it! P.S. If you’ve already purchased the body there is an update available in the redelivery terminal at the store. For those of you planning on purchasing it, also hit the redelivery terminal as there are new updates for the AvEnhance Hands and Feet!